Wasanbon are a very traditional hand made sweet which are served with bitter green tea during the tea ceremony. 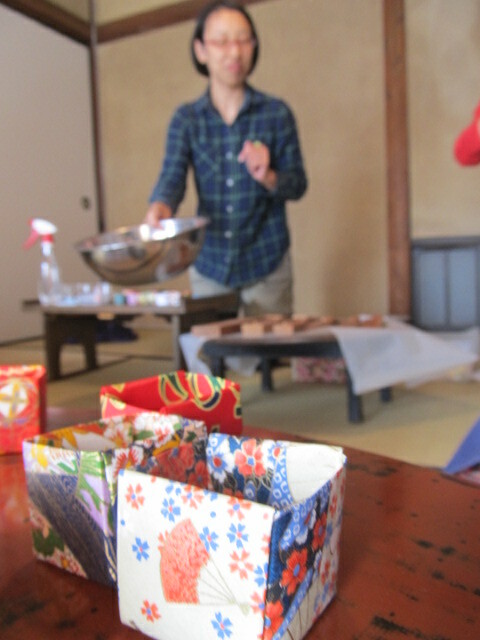 Making them requires a careful touch, as I learnt in an Autumn Festival Workshop run by Kitchen Nippon on Sunday. 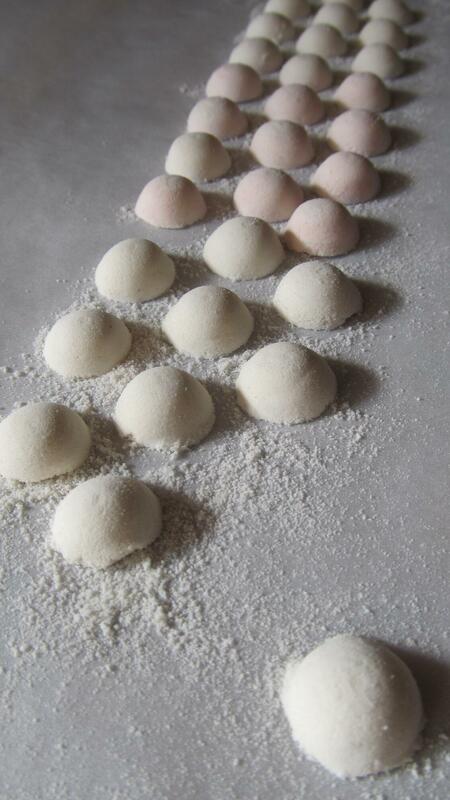 Wasanbon is a type of very fine grained sugar produced only in Japan. It is grown in cooler than normal climes for sugar and thus has a unique taste. The production of this sugar is very labour intensive. 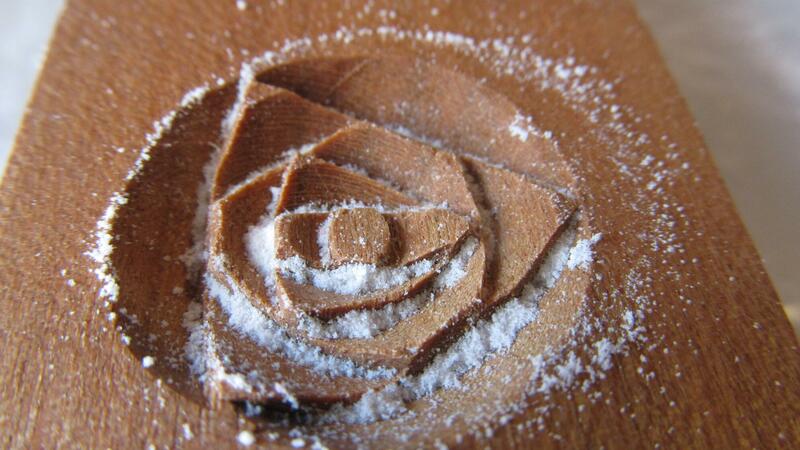 The sugar is refined by hand over three stages by craftsmen on a tray referred to as a “bon”. The name Wasanbon is Wa / 和 for Japan, San/ 三 for three and Bon / 盆 for the tray. The finished product is quite expensive. You can expect to pay about 1000 yen or $10 for about 300 grams. Thus when making your sweets you are very careful not waste any of your product! Before we started making our sweets we carefully folded some origami boxes from beautiful traditional washi paper to present our finished products in. Origami is a precise Japanese art with each crease being made very carefully. 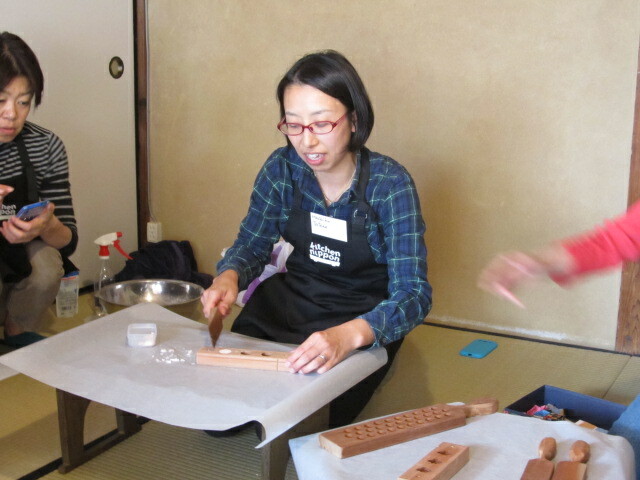 The molds our tutor bought for us were carefully and beautifully hand crafted molds made in the traditional way. They were made by the last remaining master craftsman of this trade. 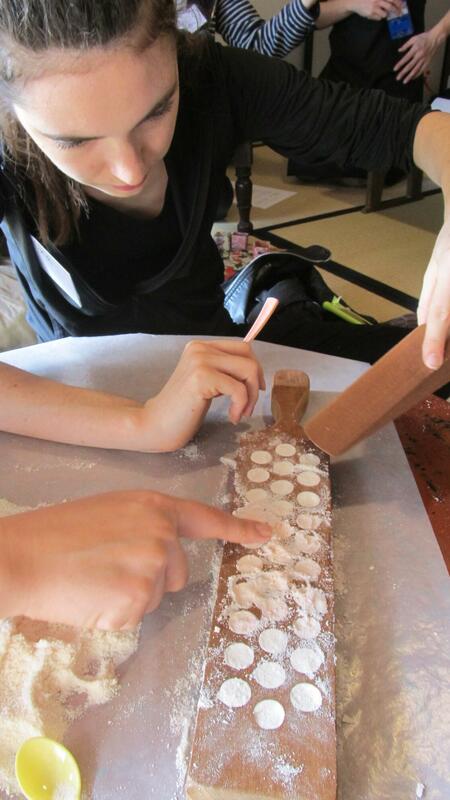 One of Machiko’s aims through her classes is to share the knowledge of the very special and unique traditional Japanese cuisine arts in the hope that these crafts remain alive and are not lost to modern technology and their alternatives. The molds Machiko bought for us were the small ball, the rose and the fish mold. These sweets are often made to very seasonal themes. 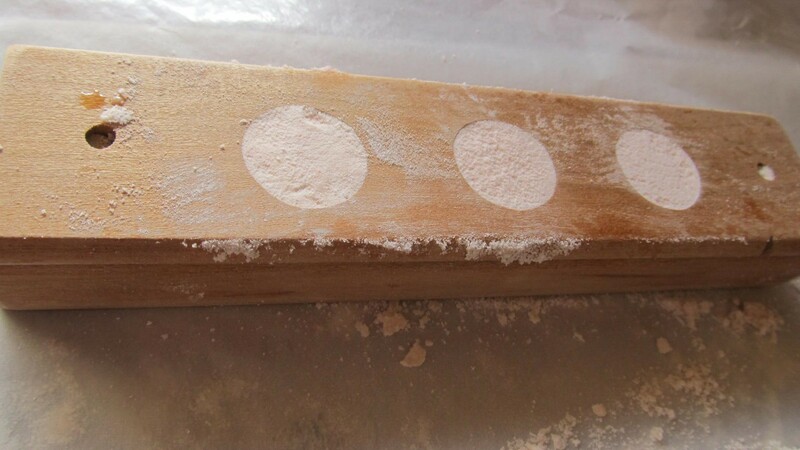 Once our Wasanbon mixture was ready we pressed it firmly into the molds. As it is so fine grained a surprising amount goes into each small mold. Once packed in we carefully tapped the mold and the finished product came out. 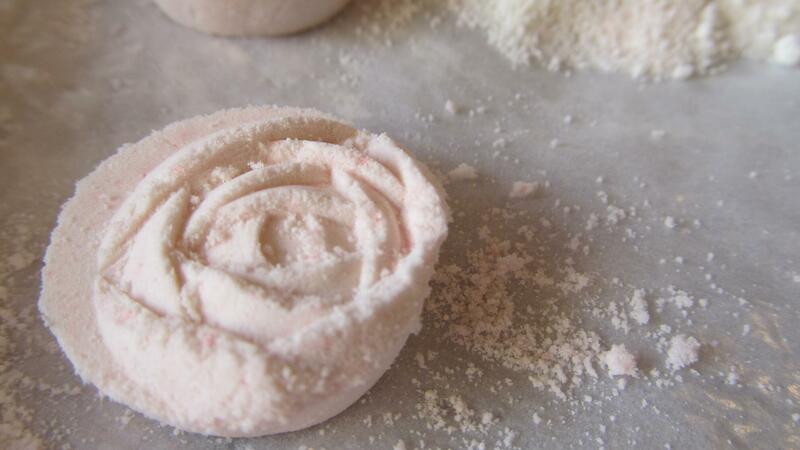 Transferring each delicate sweet to a plate was a very careful process as they can crumble. I suspect our mixture was a little on the dry side as we did have some crumbles. For me Wasabon sweets are too sweet. They are basically pure sugar. They are not meant to be eaten in bulk. Rather they compliment the tea. They sweeten the palate before the bitterness of the tea. They are tiny and you would only have one or two at the most. 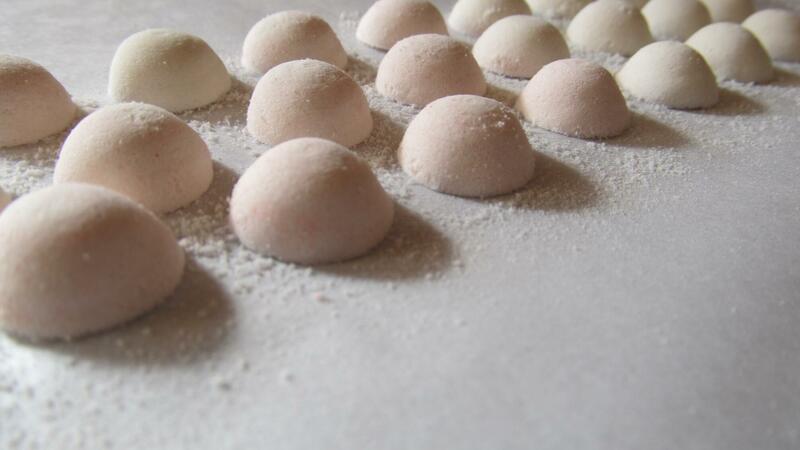 Wasanbon is described as having “a light unobtrusive sweetness” and thus is used in premium Japanese confectionery. I am not sure I would say the sweetness is unobtrusive! They are very very sweet! To me their appeal lies in their delicate appearance and the way they just melt on the tongue. They are beautiful and a seeing how they are made was a sweet pleasure and a privilege. They are made with great care and precision. 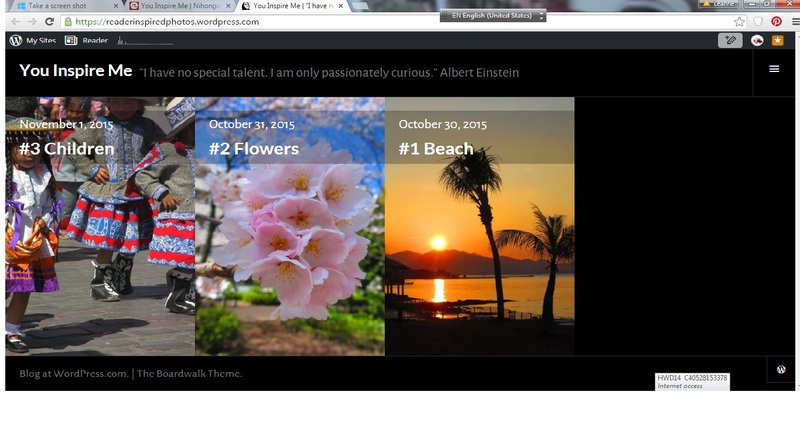 They are a cultural icon of Japanese tradition. Nothing to do with sweets but related to careful and a very careful Balancing act! Interesting post. Thank you for sharing this. I am glad you enjoyed it! 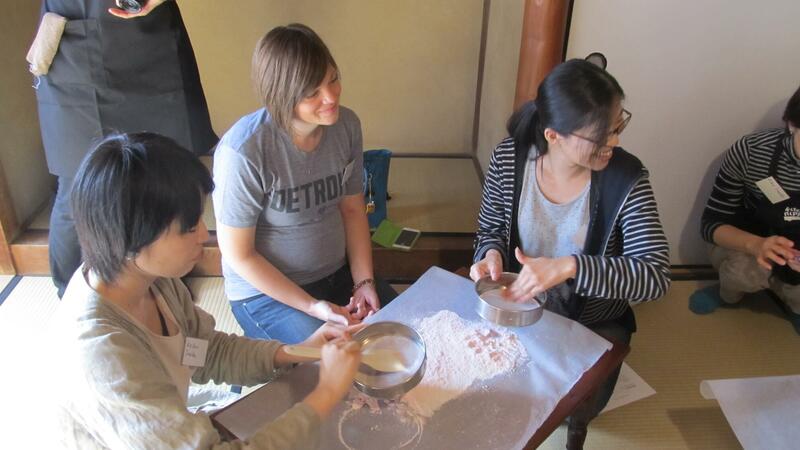 This cooking class is one of my favourite things in Japan. I have learnt something new today! I didn’t think the Japanese liked really sweet food! It is interesting. Many of my friends find western cakes and deserts too sweet but traditional Japanese sweets are very sweet too. These wee fellows are pure sugar. They are not really something people eat every day though. They are very specific to the tea ceremony I think or maybe special festivals or times of celebration but they would probably be eaten together with the accompaniment of green tea.